Running and measuring hashtag campaigns on Twitter can be very powerful for increasing engagements, getting more followers and driving increased awareness to your business. Wix Case Study: How to use Commun.it to run and measure hashtag based campaigns . In this example we will look at Wix’s latest campaign, in which users were asked to tweet using the hashtag “#WixWebsite​” for the chance to win an iPhone 5. Wix needed to track multiple tweets in multiple languages to measure the success of this campaign and Commun.it proved to be extremely helpful. However, if you don’t save and analyze the mentions of the hashtag, all of this data will be lost as Twitter provides only data from the recent few days. Without Commun.it, you won’t be able to see historical tweets, measure the campaign’s impact over time, engage with the campaign’s top influencers – and after a few days, all of the campaign’s data will be lost! 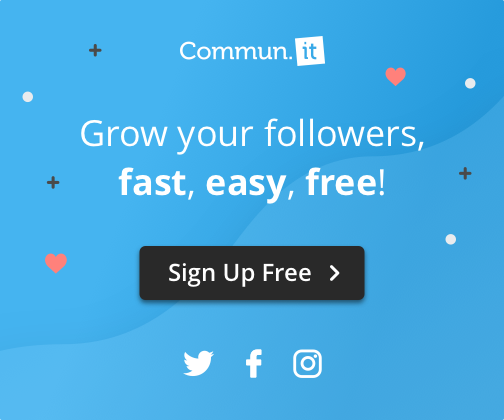 Here are 3 steps that will help you manage the campaign via Commun.it – measure the campaign’s success, follow back and engage with top influencers, thank the top engaged members in the campaign and grow engagements. Add the hashtags as a monitored items, (click on “Add” under monitored items). Here is an example for hash-tag “#siteWix” e.g. View the reports of each monitored item at the “Engagement Report” (under the Reports tab). Note to sort by custom date and choose today. e.g. Follow back, engage and thank the top members on each monitored item. In the dashboard, under “Monitored Items”, sort the list by “Highest Rating” e.g. That’s it! Using the three simple steps above, you can run and measure a Twitter hashtag-based campaign like a true pro. No data will be lost, all engagements will be saved and you can leverage the new engagements generated in the campaign for happier & more engaged community members over a longer time, increasing the ROI of the campaign and the timespan of its effect. Good luck!